It’s only the end of July and I’m already looking forward to quince blossom. And when the blossom appears I will be looking forward to the amazing, golden fruit. I planted the first quince tree in our garden even before we moved into the house, and the following winter I decided I could squeeze in one more. Not only are these young trees beautiful, but they’re willing, and through April and May each year we gorge on quince cake, quince crumble, stewed quinces, or (my favourite) quinces baked with brandy, raisins, brown sugar and walnuts. Quince jelly is an old-fashioned and delicious preserve; the scent of it in winter reminds me of the quince-days that have passed and those still to come. There is a bakery I go to sometimes where they sell jars of homemade jams and sauces, and I usually find two or three pots of quince jelly and buy them for a couple of dollars. Achieving the ruby colour and the clarity of the jelly takes more time and patience than I can muster, but maybe I’ll make my own one of these days. In the meantime, I appreciate some else’s effort. 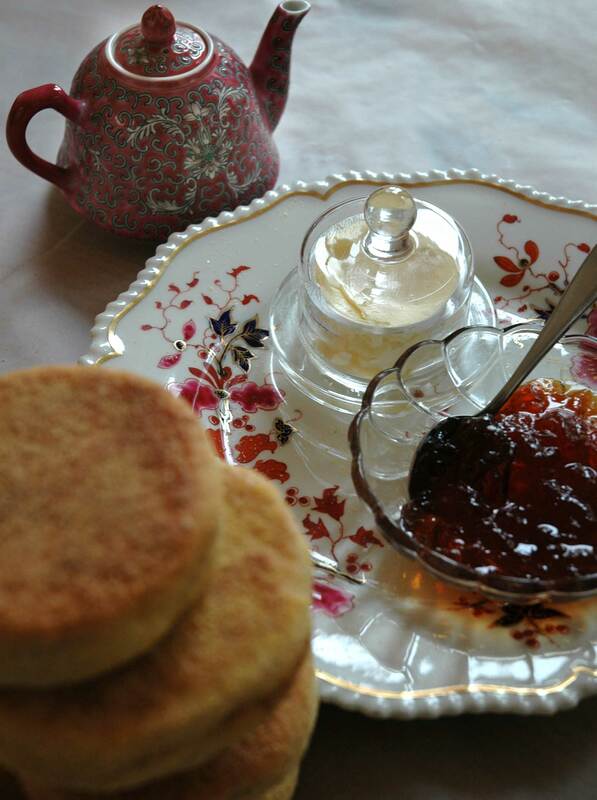 Quince jelly tastes good on just about anything, but a toasted English muffin gives a good grainy base. Freshly made scones are another excellent choice, or those little Highland Oat biscuits I made back at Breakfast #10. 31 Jul	This entry was published on July 31, 2012 at 9:28 am. It’s filed under Uncategorized and tagged beautiful breakfasts, carol lefevre, creative writing, English muffins, food writing, quince, quince jelly, winter. Bookmark the permalink. Follow any comments here with the RSS feed for this post.